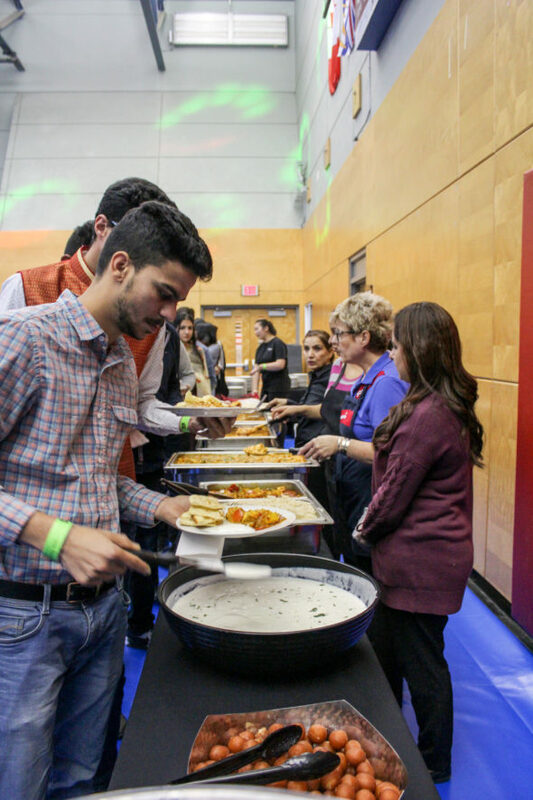 In celebration of Diwali, the festival of lights important to several religions including Hinduism, Jainism, and Sikhism, KPU International hosted their second annual Diwali Fest on Nov. 10. The event sold out, accommodating 200 people—including staff and volunteers—who packed into the Surrey campus gymnasium from 3:00 pm to 8:00 pm. Many attendees were dressed in bright, traditional outfits to celebrate the occasion, and the gym was decorated with colorful fabrics, lights, and ceramic displays. The energy at the celebration stayed high throughout the evening thanks to several activities, including a live DJ set, a henna tattoo art station, and a dynamic bhangra dance performance. Dinner, catered by the on-campus cafeteria Sodexo, consisted of traditional Indian fare including butter chicken, paneer curry, vegan curry, rice, naan, and gulab jamun, a milk-based dessert made of dough that is formed into small balls, deep fried, and soaked in syrup. For many, the bhangra dancers were the highlight of the event. Their performance united the attendees of the festival in delight and appreciation of their talent and brought a whole new level of excitement to Diwali Fest. Onlookers crowded around to watch the dancers, cheering enthusiastically while taking photos of their routine. Afterwards, they were invited to join the performers for an impromptu bhangra and proceeded to dance the night away. For some of the international students in attendance, Diwali Fest alleviates—but doesn’t eliminate—a sense of homesickness. 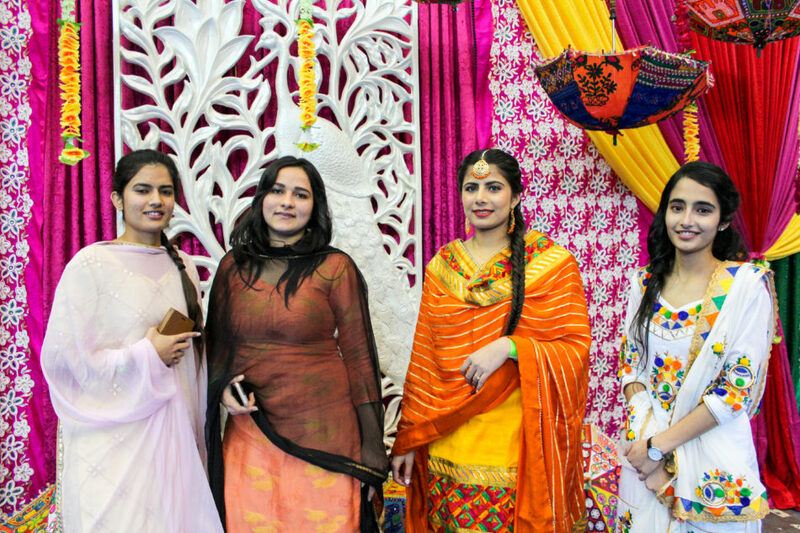 While Diwali Fest offered students a rare chance to kick up their heels and enjoy a raucous party, it also bridged a gap between international and domestic students by providing a common cultural event that everyone could enjoy. This is fitting, as across all faiths that celebrate it, Diwali is seen as a way to commemorate the victory of light over darkness, knowledge over ignorance, and good over evil.